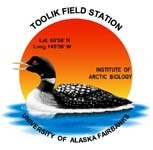 The LTER moist acidic tussock tundra (MAT) exclosure treatments were set up in 1996 on extra 5 x 20 meter plots within the four-block design of the 1989 LTER moist acidic tussock tundra experimental site. On each plot, a 5 x 10 meter section was fenced with large mesh (4-inch square mesh) to exclude large mammals. Within this fence a 5 x 5 meter plot was fenced with a small mesh (1/2-inch square mesh) to exclude both large and small mammals. In each block two fenced plots were set up: a plot with no fertilizer and a plot with annual fertilization (NP) treatments added as 10g/m2 nitrogen (as NH4NO3) and 5 g/m2 phosphorus (as triple superphosphate). In this biomass harvest, only no fence, no fertilizer (NFCT); small mesh fence, no fertilizer (SFCT); no fence, N plus P (NFNP); and small mesh fence, N plus P (SFNP) treatments were sampled in 2006. Reference citations: Shaver, G.R. and F.S. Chapin, III. 1991. Production/biomass relationships and element cycling in contrasting arctic vegetation types. Ecological Monographs 61:1-31. Sampling description: Biomass quadrats, size 20 x 20 cm, were taken from treatments. Four quadrats were randomly located along transect lines in each of the replicate blocks of each treatment. Aboveground biomass is considered "within" the quadrat if it is associated with a meristem that is within the quadrat. Quadrats were sorted within 24 hours into species and then into tissue type. The samples were dried at 50-70 degrees C in a drying oven and after several days weighed to the nearest milligram. Samples were lumped by block and subsequently ground in a Wiley Mill and analyzed for percent C and N using a Perkin-Elmer CHN analyzer (Series 2400). Notes: If no samples were present in the biomass data, zeros were used. If no samples were analyzed for %C and %N, decimal points were used as place holders. Version 2: Update LTERNET Data Access server proxy link for Excel and comma delimited data files. Changed from knb to das in url. Definition: Oven dried weight of sample collected in a quadrat. (Code of variable name: B for block and the number following the B is the block number. The Q stands for quadrat with the number following the Q being the quadrat number.